Ever found yourself in the midst of shooting, when you noticed your iPhone just popped up a message proclaiming you have less than 20% left or even worst 10%. Well I have encountered this once too often, resulting in frustrations and scrambling for a quick fix. 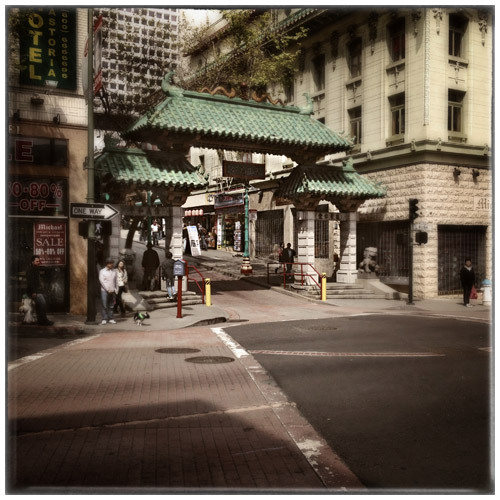 The last time was during a visit to San Francisco’s Chinatown, when I managed to deplete my iPhone’s battery down to 2% within a matter of a little over three hours, despite having turned off most apps using GPS and notifications. Not having finished covering Chinatown, forced me to head to the nearest Apple Computer store in to recharge the iPhone. For the next two hours I stood like a store fixture and though I had a wonderful conversation with Matthew, one of the store employees, I was restless and wanted to get back to the streets and continue shooting. The next several days I researched various portable battery packs available for the iPhone, but nothing seems suitable for my needs. Too many external battery packs offered only 1-2 hours of power and never addressed the needs of the photographer. Then there was also the issue that the majority of battery packs would not let me continue to use my DIFFcase or any protective case for that matter. I was determined to find a resolution. So when I met with my friend Monica who was about to travel to New York, was also concerned running out of juice and together we spent the next two hours searching for a solution. We ordered two different kinds of battery packs, as Monica desired a smaller version and I needed a much larger unit. Monica purchased the Anker, model Astro2 and I got the Anker, model Astro 3. Both units have a number of similarities but the Astro 3 comes with many more attachments than the Astro 2. Anker’s SlimTalk with only 3,2000 mAH and simply too small for the needs of a photographer was not being considered. Now we waited to see if we made the right decision. Before I had a chance to try out my unit, Monica called me from New York to tell me her’s not only performed great, but saved the day more than once. Now it was my turn to try out my Astro 3 unit. With the unit fully charged overnight—since it requires about 8 hours to completely charge—I headed along the Pacific Coast for the ultimate test. In less than 3 hours of shooting only still images, I had reached less than 20% power remaining and there was still more than 3 or more hours left of good light, in which I wanted to spend photographing. Astro 3, is a powerful unit, 10,000 mAH; two USB port’s 5V/2.1A DC9V/12V 2A; There is also a DC voltage output plug rated for either 9 V or 12 V DC. The device comes with 18 plug port adapters for various types of phones and other devices. Beautifully designed and elegant, the physical dimensions are 4.9 x 2.9 x 0.86 inches and it only weighs 0.67 pounds, making it a very manageable unit for most. Though the Astro 3 is designed to charge many other devices and even laptops, I am primarily using it for charging the iPhone in the field so that I can continue photographing without any worries and that is exactly how my day went. With the Astro 3 in my fly fishing vest and connected to the iPhone, I was able for the first time to go on photographing without any worries and I mean I was completely relaxed and focusing on what was important, taking good pictures. There is not much one can criticize about Astro 3, though a carrying case would be nice with a pocket or two for some of the extra attachments, but then that would also raise the price which is more than competitive from other units costing almost twice as much for a comparable unit. One also should not forget that the Astro 3 comes with an 18 month warranty. The Astro 3 sells for $59.99 which makes it a great deal and certainly is worth your time and money. The added benefits are all the connections when finding one does need to charge something else than one’s own iPhone. The Astro 2 sells for $53.99 US Dollar. I highly recommend Anker Astro 3 and for those not requiring 10,000 mAh and can do with a little less, the Astro 2 with 8,400 mAh is a perfect alternative. Last weekend I had an extended day in Chinatown for 10 hours photographing, taking a little more than 600 images. 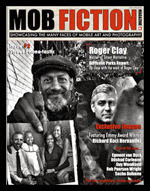 I was accompanied by my friend Stan Phillippe, who was also using his iPhone to take pictures. 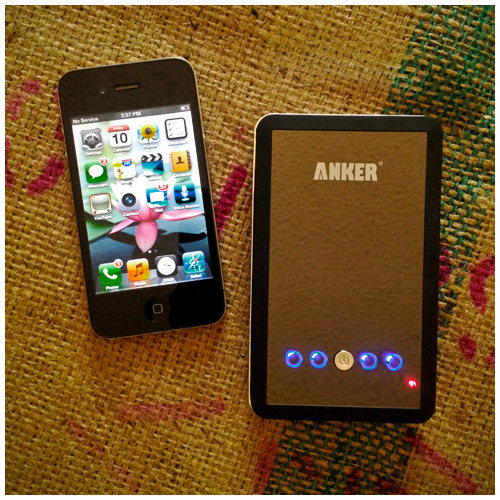 When he was down to 6% power, I loaned him Astro 3 to recharge his iPhone. Once it was charged above 70%, I continued to recharge mine until it reached a complete charge. 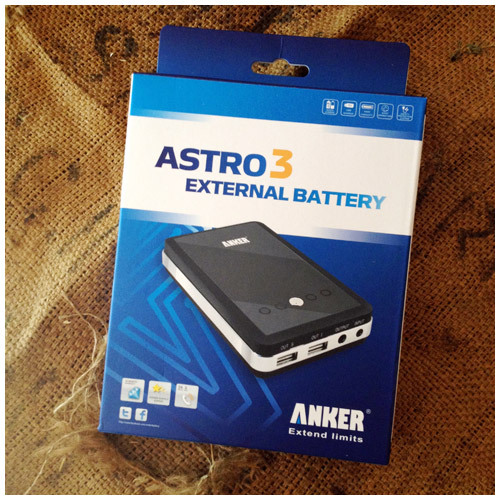 The Astro 3 still had ½ of its charge remaining. With a 25% charge remaining, this means that I had another full day of back-up power remaining on the Astro 3. Thanks for the review on this! I've been considering various different units but have been hesitant to commit to one based on the review I read. This one sounds like a winner! I will definitely be adding this to my wish list! !